We’re happy to announce that we’ve been offered an opportunity to purchase Judaica items from Israel and raise money for our organization. It is a simple and automatic way for each of us to support our organization when we shop for beautiful Judaica items and gifts, at no cost to us. 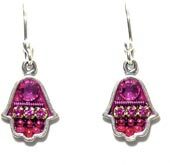 Items include gifts, jewelry, mezzuzot, tallitot, menorahs, dreydls, Shabbat and Holiday needs. This is a fruitful cooperation with Vashti Judaica, which is located here, in Boulder. 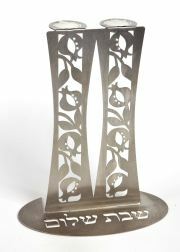 For every purchase made through Vashti Judaica, 18% (“Chai”) of the item price will be donated to our organization. That way, with every purchase, we support our community. How do I shop at Vashti Judaica? 1. 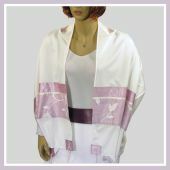 Log in to the Vashti Judaica website by clicking here. You will now see WHOLESALE prices. Please note, that ACTUAL price will be double the price that you see. 3. Place an order from the huge variety either online, via email (vashtijudaica@gmail.com) or over the phone (303-443-4007). 4. Add your name, telephone number and address at the “Order Notes” section. When ordering, remind them that this is through the Nevei Kodesh program. A Vashti representative will contact you for your credit card details and 18% of your purchase will be donated by Vashti Judaica to Nevei Kodesh. All the products are eligible for this Giving Back Program and can make wonderful holiday gifts, b'nai mitzvah or wedding gifts. Once a month Vashti Judaica will send us a payment totaling 18% of our members’ purchases with a list of contributing members and the transaction details.